On Monday, January 14, the Canadian Vintage Modifieds revealed their schedule for the upcoming 2019 season of short track racing. 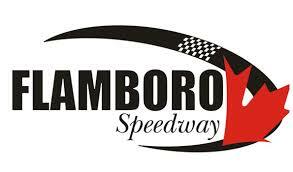 After touring across the province over the past couple seasons, they have chosen to make Flamboro Speedway their home track. The decision was made by series officials in attempt to get back to their roots, while putting a focus on growing the car count over the course of the year. Their presence at the speedway just increases the hype entering the year for Flamboro Speedway after watching their Late Model and Mini Stock divisions experience growth last year, with the Bone Stocks putting on impressive features on a weekly basis with some of the craziest racing in the province. Combined with the ever-competitive Super Stocks, the racing will be as hot and good as the flamburgers from the concession stand. While we await for the track to drop the full schedule for 2019, here are the dates that the Canadian Vintage Modifieds will be visiting the Hamilton, Ontario oval.